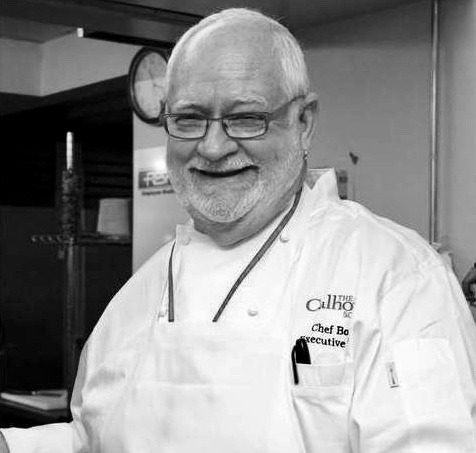 My featured Changemaker this month is Robert Surles, more commonly referred to as Chef Bobo. Bobo is a New York City chef leading the charge in helping make and keep kids healthy. In 2002, The Calhoun School, my alma mater, hired Chef Bobo–previously the personal chef to NY Yankee legend Derek Jeter— from the French Culinary Institute to revamp Calhoun’s school lunch program. Bobo did that in spades. Chef Bobo spearheaded the school’s “Eat Right Now” lunch program aimed at “providing students with healthier meals while building a deep understanding of the importance of a well-balanced diet.” Bobo believes that “the best way to ensure that adults eat well is to develop an appetite for healthy foods early in life”. Robert Surles, aka Chef Bobo. Bobo’s holistic approach to eating has earned him (and Calhoun) significant recognition. Calhoun’s program has received national attention, with articles in Fortune Magazine and The New Yorker’s Talk of the Town column. The program has also been mentioned on NPR’s “All Things Considered,” as well as in The Chicago Tribune, Canada’s National Post, The Los Angeles Times, Nick Jr. Magazine, ABC’s World News Tonight and Japan’s Fuji TV Network. The Daily Meal continues to list the Calhoun School lunch program as one of the top 10 School Lunch Programs in America. Bobo’s Eat Right Now program extends beyond the kitchen in several ways to help students learn more about food and its relation to their physical and mental well-being. Bobo is a frequent visitor to Calhoun classrooms, offering cooking demonstrations that focus on health, science-oriented lessons about herbs and chemistry, and social studies and linguistic lessons that expose children to diversity in cultures and foods. Calhoun’s Lower School even includes a unit on “Chef Bobo Math” where 3rd grade students learn firsthand the math used in scaling the ingredients we cook for the number of people we feed. Last year the Calhoun School initiated an “Introduction to Cooking” for students in the 8th grade as an elective. This opportunity reinforces cooking with high quality ingredients, recipe variety and teaches proper seasoning. Since the school doesn’t have a “kitchen classroom”, the course is taught in the art studio and students use induction burners for cooking. Ultimately, the integration of the food program into the life of the school creates an environment that promotes healthier attitudes about food and eating behaviors. Inspired by Calhoun’s renowned Eat Right Now school lunch program, the school’s CSA (Community Supported Agriculture) was launched in 2009 by the Parents Association as an experiment in community supported agriculture. Those who opted in received a share in the limited “membership,” entitling them to pick up bags of fresh, locally grown produce every week for 11-12 weeks. Bobo’s Eat Right Now program has expanded with an aggressive outreach for public and corporate support that allows Calhoun to benefit a broader audience of institutions, raising awareness and providing education with a hands-on initiative to improve food service for all children. This program is also not just for the kids fortunate enough to be enrolled at private schools. Bobo manages to keep the cost down to about $3/lunch, which is not far off from many public school budgets. The key is serving size and waste management. Bobo is a big believer (like I am) that cooking can be fun and a nice way for families to spend time together. Bobo carried this idea over with the release of his cookbook Chef Bobo’s Good Food Cookbook (2004). It is packed with healthy family friendly recipes that have been kid tested and approved. The book also offers simple tips on how to involve the entire family in meal preparation. In his spare time, Bobo can be found teaching Food Politics and Food Activism to high school students, as well as speaking at conferences on school lunches and healthy eating, and consulting with schools nationwide on how to revamp their own school lunch programs. Bobo also sits on the Advisory Board for Spoons Across America, an organization dedicated to educating children, teachers, and families about the benefits of healthy eating. 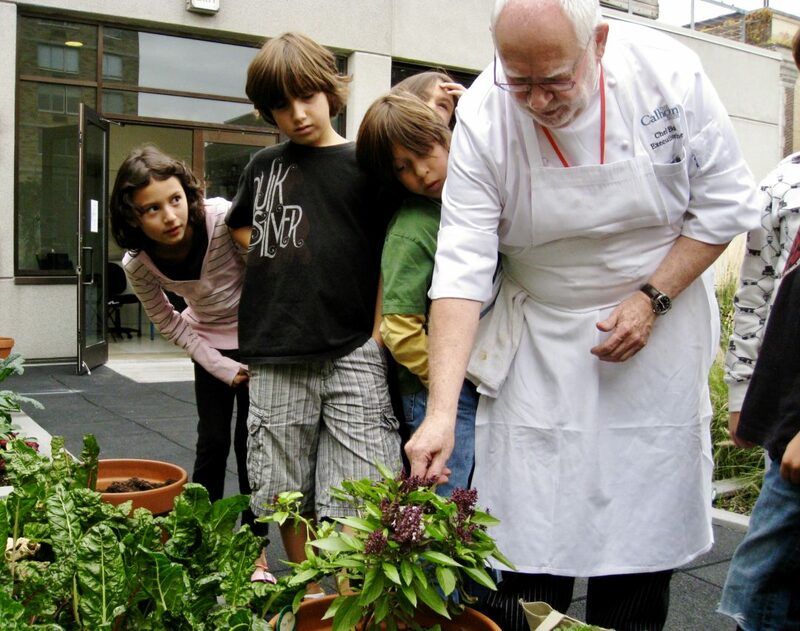 Chef Bobo with students on Calhoun’s Green Roof. Here’s how Bobo’s Eat Right Now program works: The menu is 100% natural and local. Cooking “natural and healthy food that features bold flavors and good nutrition” is the core value behind this chef’s successful program. A ten-day menu plan is submitted in advance by rotating members of chef Bobo’s kitchen. Each menu must contain entrees that are either 40% chicken, 20% red meat, 20% fish (typically a 3-ounce serving size) or 20% vegetarian. This is in addition to a fully loaded salad bar, homemade dressings, fresh daily soups (typically made with vegetable stock), sandwiches (70% of which are vegetarian options) and only whole grain starches, such as quinoa and spelt pasta. Each menu also offers a fresh vegetable as a side option. The kitchen is also a “nut free-zone.” Seasonal fresh fruits are always available and one homemade dessert may be served every 5 days. Yogurts are low-fat (and organic), beverages or either low-fat milk from a New York dairy farm, water or fresh apple cider from a New York orchard. So how does this all play out in the food kids at Calhoun are offered? A classic Bobo school menu would include leek & basil soup, tomato provolone & broccoli rabe pesto sandwich, penne with chicken sausage & lentil ragout (with a vegetarian alternative of penne with lentil & cauliflower ragout), sautéed zucchini and fresh fruit. The kitchen staff maintains a garden of fresh vegetables on Calhoun’s “Green Roof”. Students maintain indoor vertical gardens which keep the kitchen supplied with fresh lettuces and herbs. Simmer + Sauce: Where did the name “Chef Bobo” come from? Chef Bobo: It’s kind of a long story. Do you remember Alexander’s department stores? When I first moved to New York , I was working there in the Training Department for a wonderful woman (still my very best friend) whose name is Jodie. Jodie and I were producing training videos and slide shows. We decided we should have a production name. Since people called me Bob, at that time, I suggested Jojo and Bob. She refused it saying, “if I’m going to be Jojo, then you are going to be Bobo!” Soon after she started dating a famous NY disc jockey named Cousin Brucie. They eventually married and were very generous in doing very nice things for me. I was a pretty good home cook, so for special events I cooked for them as a gift. Brucie then tagged me “Chef Bobo” and it stuck. Simmer + Sauce: What is the best way to get children interested in good nutrition and healthy eating? Chef Bobo: Children have a feeling nutritious and healthy food is not very good. So, the first thing you have to do is give them food that is delicious. I started out offering food that looked like the processed food they were accustomed to, but instead was made with all fresh ingredients. (i.e.,”chicken fingers” which are made with boneless chicken pieces cut into strips)They caught on rather quickly and realized the difference. I feel that, automatically, if food is made fresh, from scratch, it’s already healthier and tastes a whole lot better than the processed food they were eating. Simmer + Sauce: How do you attribute a healthy diet to success within the classroom? Chef Bobo: When kids return to class after a nutritionally balanced lunch they have “fuel in the tank” to learn. They tend to be more alert. Some of them think that if they don’t eat enough to feel full, then they haven’t had enough to eat. We do practice portion control. But after just a short time, they forget about more food because they are sated….and they are alert! 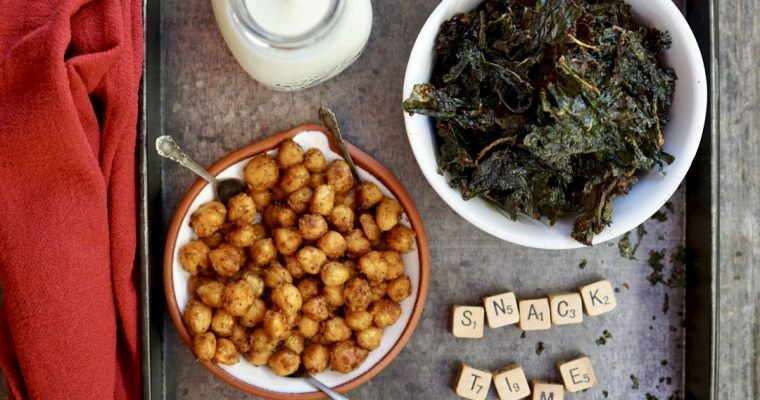 Simmer + Sauce: What 3 foods should parents avoid feeding their children at all costs? Chef Bobo: (1) Any packaged, processed food, (2) any food that has unrecognizable ingredients (repeat: no processed food) and (3) food that is a salty snack food from a bag. For sure it probably also has some form of unrecognizable sugar in it too. (repeat: no processed food). Simmer + Sauce: What is your advice for parents who say they have a “picky eater”? Chef Bobo: My advice is to let the picky eater be picky. However, don’t offer junk as an alternative just to get them to eat. Junk food is highly addictive because of the huge quantities of sugar and/or sodium in it. Once they are addicted to that sugar, it’s hard to get them off it to eat healthier food, making them pickier. We get a few picky eaters at school and we never push them to eat. We know that, in many cases, that food pickiness is a form of control. The last control kids have over their parents is about food. What we know for sure is that when a kid becomes hungry he/she will eat what’s available. Make that available food fresh fruit, yogurt or raw veggies (carrot and celery sticks) et voila! 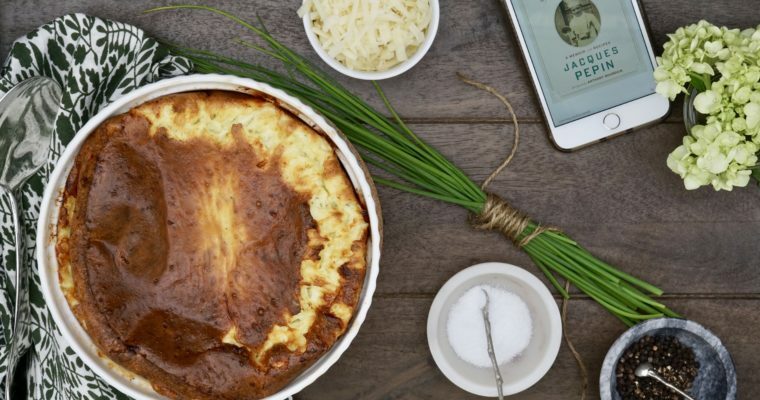 Simmer + Sauce: Featured Changemakers Jacques Pepin and Jesse Ziff Cool both stressed the importance of getting children involved in the cooking process early on. What advice do you have for parents on how to do so? Chef Bobo: I agree with them 100%. Cooking is fun, creative and somewhat physical. It requires math skills and strategy along with planning. Parents need to invite the kids to help them. They should point out the skills they are practicing. Give kids some responsibility, i.e., if you are scaling a recipe up or down let the kids do the math. When the food is finished let the kids prepare the final presentation. Show them the fun that can be had in the kitchen. Also, I think it’s important to take kids to the farmer’s markets to select foods to prepare. I wrote a cook book back in 2004, Chef Bobo’s Good Food Cook Book, at the request of some of the parents at Calhoun because their kids were coming home demanding better food, “like Chef Bobo makes”. I always get a special thrill when a student comes up to tell me that he/she and Mom are going to cook something from that book. That tells me they are doing it together. I was raised by my grandmother who worked a full-time job. When she came home from work in the evening she always cooked dinner for my sisters and me. She worked really hard and was usually tired at the end of the day. After dinner she would retire to her room. I adored her. We made each other laugh. When I was 7 years old I realized that if I got dinner started before she got home it would help her and I’d have more time to spend with her. She taught me so much about cooking, especially putting the love in it. Simmer + Sauce: If a school wants to implement a healthier school lunch program, similar to your Eat Right Now program, what is the best way for them to begin? Simmer + Sauce: Rumor has it that former Yankee legend Derek Jeter loves your French toast so much he stocks his freezer with it. What’s your secret? Chef Bobo: I worked as Derek’s personal chef for 2 years. He was one of the nicest people I have ever worked with. He did love my French Toast. It was an easy breakfast for him to eat on his own. So every time I went to his kitchen to cook, I usually made 2 or 3 loaves of challah bread into French toast, packaged it and left them in the freezer. In the mornings when he was ready to eat breakfast, he would take as many as he wanted from the freezer, heat it up and love eating it. I tried to keep fresh berries in the refrigerator for him to add-on top. I always cut the slices very thick and gave the bread enough time to completely soak up the custard before I cooked it. He had a rigorous schedule of training before he would go to the stadium and he needed a good breakfast with lots of carbs. The French toast gave him plenty of carbs + a healthy serving of protein. 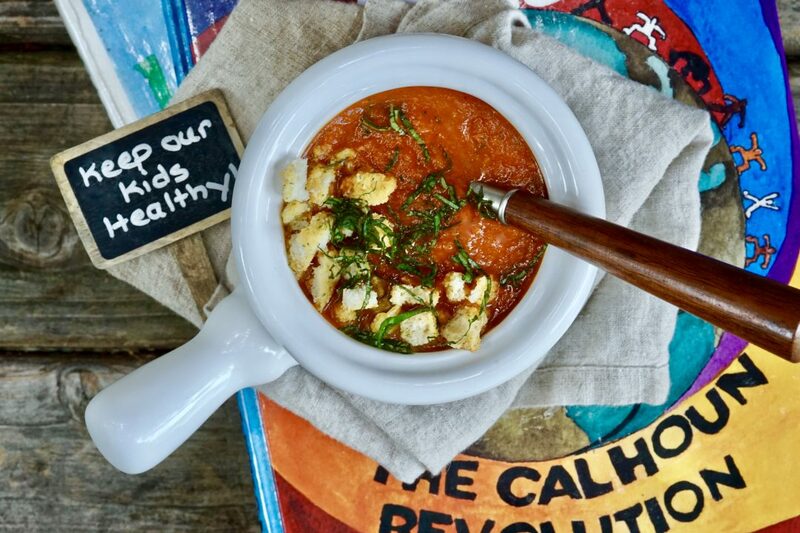 Chef Bobo has shared his simple yet flavorful tomato-basil soup recipe, which he tells me is a huge hit with the kids. And after making it, I can see why. This soup recipe is courtesy of Chef Bobo’s Good Food Cookbook. I have not made any changes or adaptations to the recipe. The real secret to this easy-to-make soup is good quality tomatoes along with a rich vegetable stock. This is a lovely soup for Fall and belongs in your arsenal of recipes. Step 1 Place a heavy soup pot on a high flame and heat it up. Add the Olive Oil and swirl it around so that the entire surface of the pot is coated. Step 2 Add the onion, carrot, celery, garlic, oregano, thyme, bay leaves and kosher salt. Sweat the vegetables until they are translucent but not brown. Step 3 Add the tomatoes and their liquid along with the vegetable stock and bring to a boil. Lower heat to a simmer and allow to cook slowly for about 45 minutes. Step 4 When the soup has finished cooking, stir in half the chopped basil. Taste for seasoning and add salt if necessary. Allow the soup to stand for about 15 minutes to cool before pureeing. Step 5 Puree the soup a little bit at a time either in a blender or a food processor being very careful not to fill the blender jar or the food processor full because the soup is hot and steam builds up. After each blending pour the soup into another pot until all is blended and in one pot. If you have an immersion blender, pureeing the soup will be much easier. 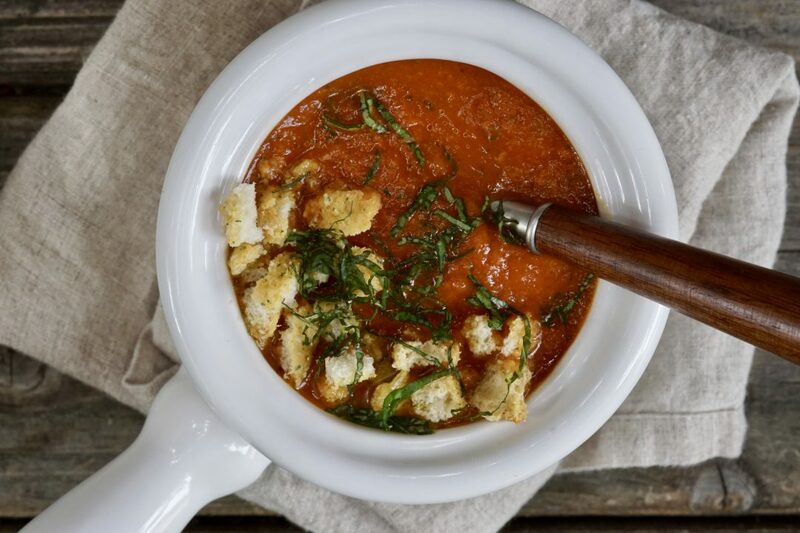 An immersion blender allows you to puree the soup all at once without taking it out of the pot. Step 6 On top of each serving sprinkle a little of the chopped basil. I would like to thank Chef Bobo for allowing me to feature him in my Changemaker series. Although Bobo was not at Calhoun when I was, I feel connected to him a very special way. Bobo and his forward thinking is a wonderful representation of the spirit and uniqueness that Calhoun embodies. I feel fortunate to have graduated from such a forward-thinking leader in the educational field. A common thread in my Changemaker series has been around better food choices, children and overall improved well-being. Chef Bobo and his Eat Now Program are nourishing and nurturing the brains of our children one lunch at a time and for that I salute him.